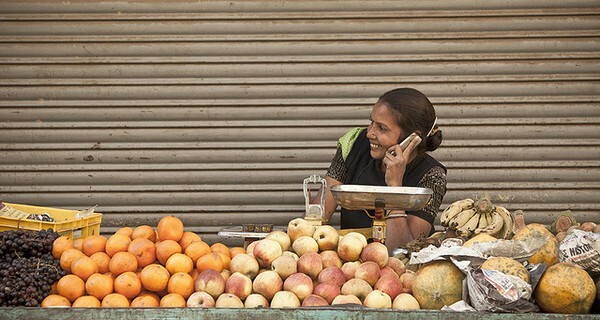 Creates mobile phone systems to strengthen rural economies in India. Mahatma Gandhi’s vision of village self-rule in India, in which production would be by the masses, not for the masses, may yet be realised by the mobile phone. At least that is the ambition of Ekgaon, a Delhi-based social venture, which is creating mobile phone systems to strengthen village economies. Despite rapid urbanisation, most of India’s population still lives in more than 600,000 villages that are little more than hamlets. People in these villages survive as subsistence farmers. Remittances from husbands, fathers and sons who have gone to work in the city provide many families with a vital lifeline. Life in these villages is hard for any number of reasons: they often lack basic infrastructures for water, electricity and sanitation; incomes will be low and variable; goods and services will be costly and poor quality, often only available from a single, monopoly supplier; illiteracy will be rife. The billions of consumers like these at the “bottom of the pyramid” often pay a high premium to get basic services which are often of poorer quality than their urban equivalents. Ekgaon, which means One Village in Hindi, set out in 2001 to change that using the mobile phone as its main tool. One of its first products was a simple bar code reader so village consumers could compare the price they were being charged with prices elsewhere. Ekgaon’s most important innovation is a low-cost information management system for village-based micro-credit and savings schemes, which is hosted entirely in the cloud and which uses mobile phones for data entry. Ekgaon estimates this shared, digital solution allows micro-credit to be offered at a much lower price than traditional, paper-based systems which dominate in villages. The system is serving more than 800,000 villagers in some of the poorest parts of the country. Ekgaon is also linking villagers to the richer urban economies on which they depend. Ekgaon’s killer app might prove to be One Remit, launched in 2013, to allow family members in the city to send money home using their mobile phone and to deposit it straight into the family account. Ekgaon’s simple, robust infrastructure for managing savings and remittances, based on the mobile phone, could be applied to villages across the world where people face the same, daily challenges to make their modest incomes go a long way.